I would have passed over it. You obviously have to have a trained eye. Good work! the sideboard is adorable! job well done. Great finds and well put together!So what did the two squiggly pieces and the thing that looks like a tiny shelf turn out to be? Thanks! 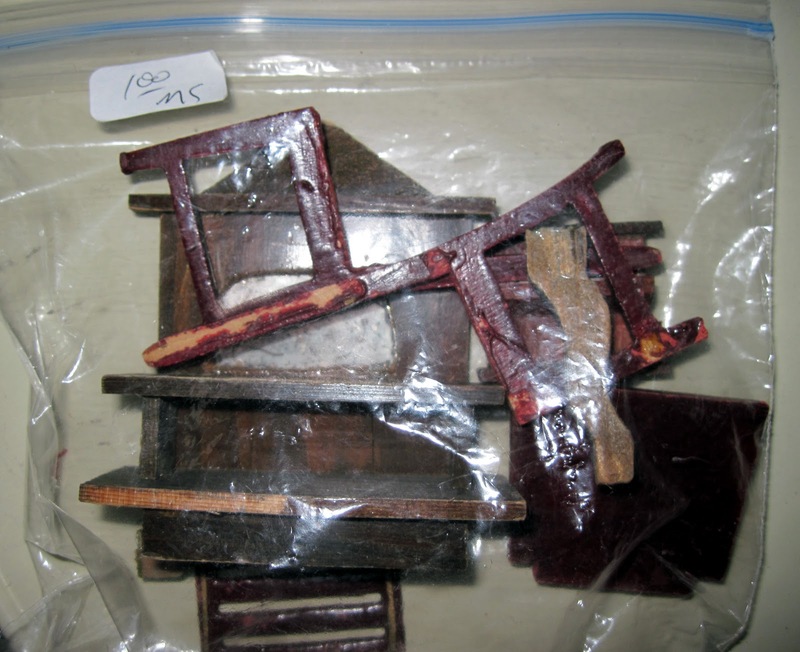 The two squiggly pieces appeared to be furniture legs from some unrelated item. We cut them down to make legs for the sideboard. The tiny thing that looks like a shelf is actually a miniscule piano: that was a surprise. you score yet again! love that last pic of your little dolls :) happy thanksgiving! Now that you mention it I can see the piano shape-wonder how tiny the house it was made to sit in must be,lol. 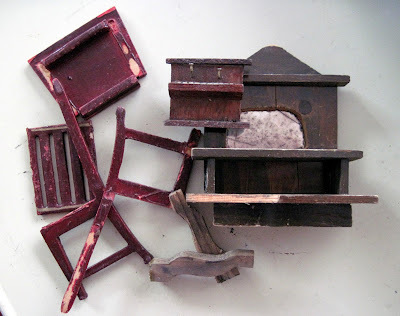 You might be interested in an auction being held by The Potomack Company Dec. 11, 2010 of 26 dollhouses given to Lee-Fendall House Museum & Garden in Alexandria, Va. My information came from Antique Trader.